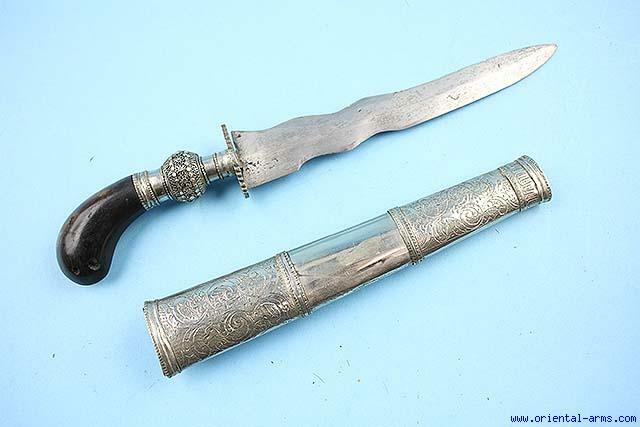 Up for sale is this very good Punal dagger from the Philippines. Short heavy blade 7 inches long dual edged and partially wavy. Horn grip with white metal cross guard and collar. Engrave white metal scabbard. Total length 12 inches. Very good condition. A very good early -mid 20 C. piece.